So Umi lands up with another phone in the market named as Umi S1 and it seems that now they are after the competition with Canvas A116 HD. Now we have already mentioned about the Zen Ultrafone 701HD which has also been as a good contender of Micromax Canvas A116HD and this phone (Umi S1) also has the good hardware features to compete with the Micromax Canvas A116HD and it also been priced near to the Zen Ultrafone 701HD. Now let us take on the hardware specifications of this phone. The battery can be a issue with 2020mAh as we have seen this earlier also in case of Umi X1 where they did not provide better battery and it seems Umi does not focus much on the battery strength of the mobile phones and yes, the users might have to face problem in this case also. It operates on the latest Android version i.e. 4.2.1 Jellybean. Well, other connectivity features are available in the phone along with the common sensors and it is also a Dual SIM phone. Umi S1 joins the league with Zen Ultrafone 701HD and it lags behind in terms of secondary camera and it also has been priced little bit higher. So, these two factors are not that great but they will taken into consideration by the users and these 2 contenders will surely fetch back most of the users waiting for their Canvas A116HD. 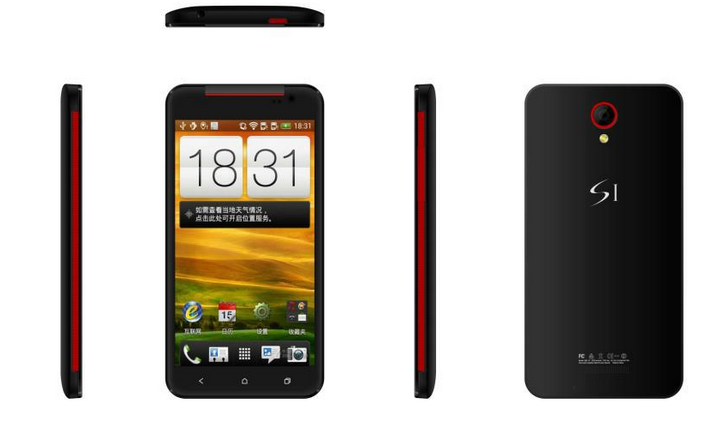 This phone has been launched at the price of 12,000 INR and you can click here to buy it.